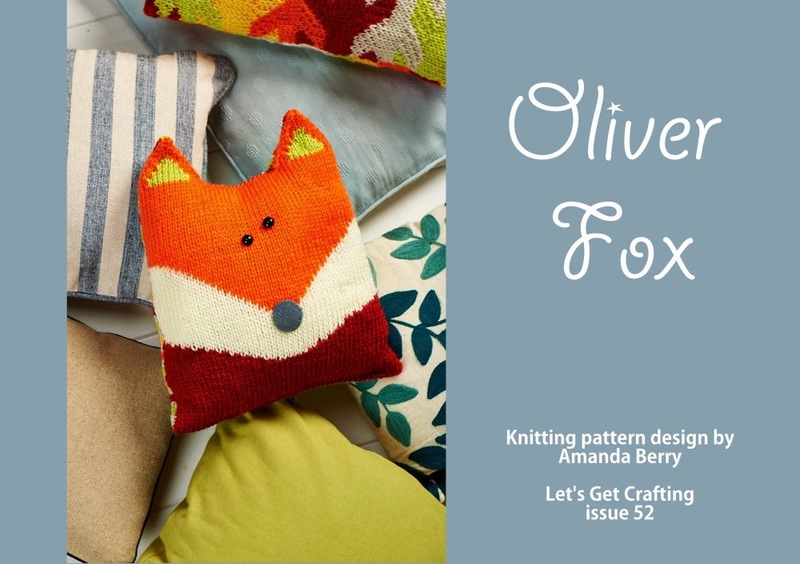 Not being an avid toy pattern collector or cushion pattern knitter, you can imagine the angst felt yesterday when a Facebook reader of Knit and Crochet Patterns ask where to find Amanda Berry's Oliver Fox free knitting pattern as published in Let's Get Crafting Magazine Issue 52. Google was a first choice with no luck. Then reluctantly visited a busy knitting forum, which often trades free patterns back and forth, and as well, known for its lack of copyright decorum, and found that they were unable to locate the free animal knitting pattern either. Um, what to do? 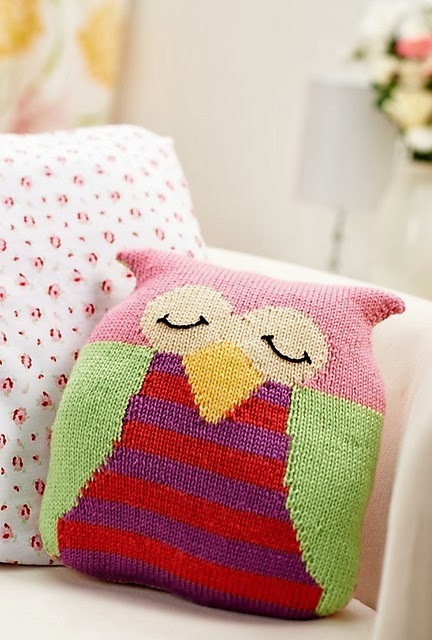 Amanda Berry is a talented knitter of toys and amusing trendy home decor cushions. 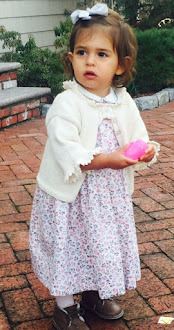 Her website "Fluff and Fuzz" and blog on Wordpress is proof of just that. 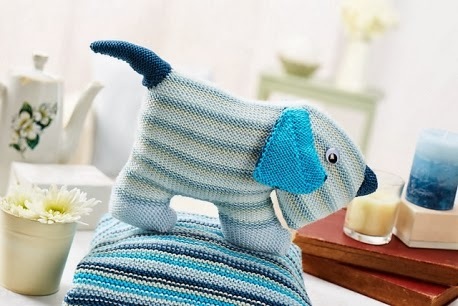 She has had her lovely toy patterns published numerous times and sells all her animal knitting patterns very reasonably and quite successfully as Fluff and Fuzz on Etsy. 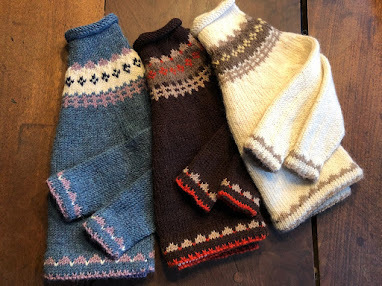 So, a conversation was in order with Amanda Berry, who kindly sent the free pattern links for Oliver Fox, Peter Puppie, Ossie Owl, and a slew of others via the Let's Get Crafting web site. Clicking on the download icons at Let's Get Crafting in turn sends one to Let's Knit Magazine site, which requires a sign in. Ossie Owl, Oliver Fox, and many of their friends are there. You'll be happy to receive all their mailings as discussed in a previous post about the chicken doorstop pattern.